an earthen rampart. 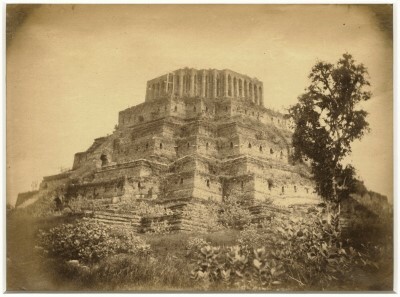 The city was surrounded on its northern, western and southern flanks by the Lopburi River, a natural barrier easily to protect. defensive purpose and cut down on flooding. This type of defense was used until the mid 16th century. 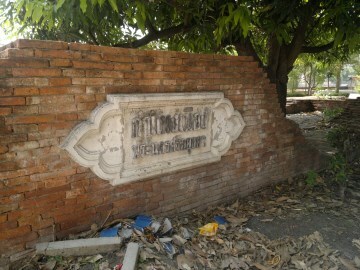 anymore, but still some traces remain of it on the premises of Wat Ratcha Pradit Sathan. Burmese, King Maha Thammaracha (reign 1569-1590) was allowed to build new walls around the city under the pretext of a threat from Cambodia. and the Lopburi River near an area called Hua Laem. The maintenance of these brick walls seemed to have been an ever ongoing issue as Nicolas Gervaise wrote around 1686 that a new wall was built. Palace. 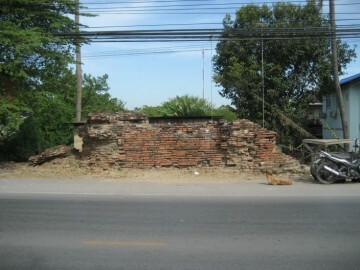 The foundations of this second wall rest today under a part of the U-Thong Rd between Wat Thammikarat and Khlong Tho. Elephant Bridge, were sent down to Bangkok to be used in the construction of a giant stupa, a copy of Ayutthaya's Chedi Phukhao Thong. known as the Golden Mount today. mostly reconstructed - remnants left of the old city wall. 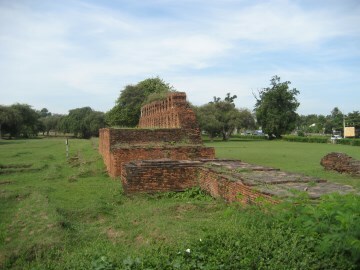 Another source writes that archaeological evidence from the Diamond Fort (Pom Phet) indicates that the first walls were up to 6.5 meters in width. other in front of the city wall, not within the city. (2) 911 Chula Sakarat (CS) = 1549 Anno Domini (AD). AD = CS + 638.
collapse. 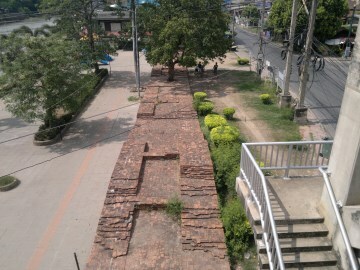 It is in this way that in 1767 the walls near the Maha Chai Fortress were breached by the Burmese. (4) Wars with Lovek in 1570, 1575, 1578, 1581 and 1582. (7) De La Mare was initially embarked to teach piloting to the marine guards of the embassy, and apparently was not a trained engineer in France. found him soon at loggerhead with Jean Vollant des Verquains, one of the four engineers working in Siam in 1687-1688. (8) Other sources (the testimonies) give only a height of 8 'sok' (4 meters) and indicate no width. Charnvit Kasetsiri & Michael Wright - Discovering Ayutthaya (2007) - page 320. Wood, William A.R. - A History of Siam (1924) - page 114. Rajanubhab, Damrong (Prince) - Our Wars with the Burmese (1917) - Re-edited White Lotus (2001) - page 66. The Royal Chronicles of Ayutthaya - Richard D. Cushman (2006) - page 82 / Source: British Museum. Wood, William A.R. - A History of Siam (1924) - page 128-30. Baker, Chris - Van Vliet’s Siam (2005) - page 6. Gervaise, Nicolas - The Natural and Political History of the Kingdom of Siam - chapter 10 / page 31. Monkhood to Assist the Defence. Rajanubhab, Damrong (Prince) - Our Wars with the Burmese (1917) - Re-edited White Lotus (2001) - page 10. 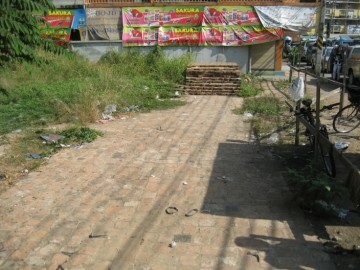 Ton Chabab print office - Nonthaburi (2007). 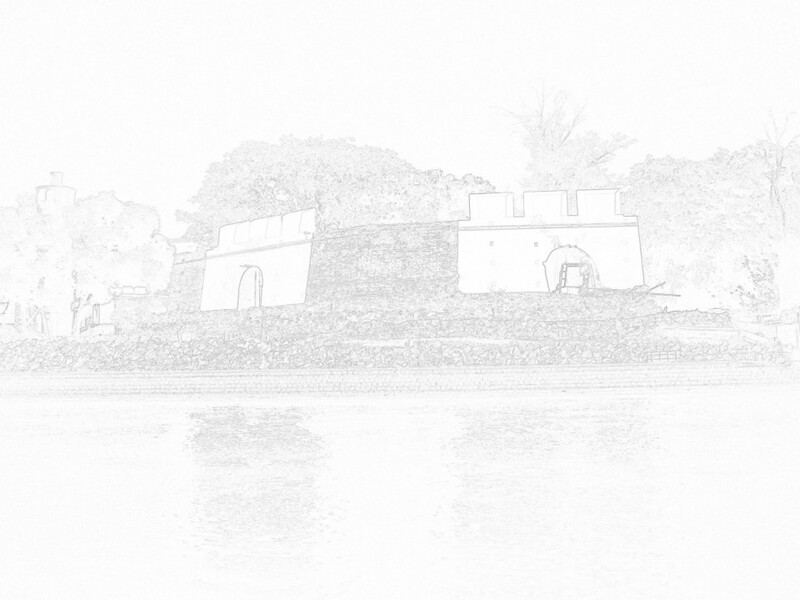 Charnvit Kasetsiri & Michael Wright (2007) - Discovering Ayutthaya - Toyota Thailand Foundation - page 321.